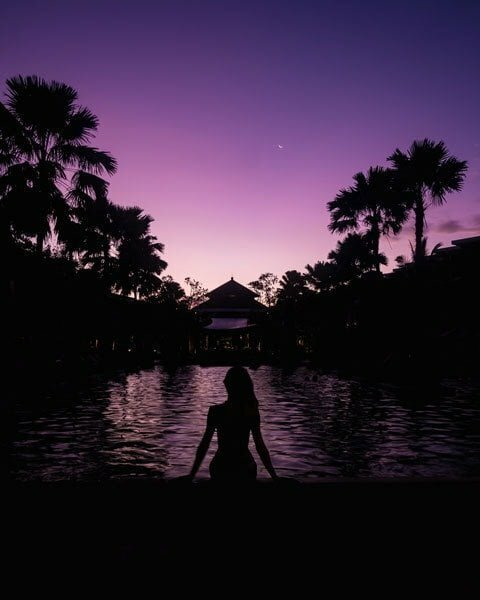 Besides picture-perfect scenery and live-like-a-royal prices, Bali is often described as a spiritual refuge for foreigners in need of a break from the demands of modern life. But before you pack your bags, here are some quirky yet practical facts about Bali that may alter your perception of this Indonesian island “paradise”*. *Not that Bali isn’t a beautiful destination; I just can’t stand cliches and hyperbole and must quarantine them in air quotes. Nusa Dua in southern Bali is a playground for the rich, with five-star resorts lining silver beaches and bright azure waters. It’s hard to imagine this area once used to be a mangrove swamp – in fact, there are still some wetland mangroves along parts of Nusa Dua and, if you read enough reviews of hotels in the area, guests sometimes complain that the beaches feel more like swamps when the tide recedes. Nusa Dua is great for a pampering vacation, though. Although Nusa Dua’s ecosystem has been altered by the building of these gilded tourist traps, it’s proof that Bali’s problem of beach trash pollution can be improved…if we’re determined enough to make it happen. What to make of this: If you’re going to discover all that Bali has to offer, it’s unlikely you’ll remain in Nusa Dua anyway. Besides the usual spots like Seminyak, Canggu, and Ubud, I highly recommend you venture to the Bedugul area in North Bali. Local taxi cartels (I personally call them the taxi mafia) are one of the biggest threats to Bali’s reputation as a tourist-friendly destination. 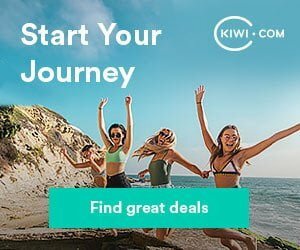 I know this because I’ve personally experienced the challenges of finding a trustworthy taxi service in Bali, since I don’t rent scooters to get around! One night, my mom and I had a seriously unpleasant experience trying to get from Canggu to our hotel in Seminyak. First off, I was unable to book a Grab (Southeast Asia’s equivalent of Uber) or even Blue Bird taxi (the one reliable taxi company in Bali) from Batu Bolong beach, because it’s “forbidden territory”; only a few taxi drivers in a dimly-lit carpark taunted us with extortionate prices, knowing our only alternative was to walk for miles in the dark. After walking some distance inland from the beach, we met a kind lady from Dubai who’d somehow managed to book a Grab ride and she gave us a lift back to Seminyak – while she sat in front so that the driver could claim he was picking up a friend. Back in town, I thought that it’d be safe to use Grab to get back to our hotel. However, when waiting for our Grab driver to pick me and my mom up outside a convenience store, a few taxi drivers waiting along the roadside kept staring at us. When our ride arrived, one taxi driver angrily confronted our driver after we’d got on and kicked his car door before storming off! Almost all taxis in Bali are blue and feature a bird logo; check the livery for the Blue Bird website and other signs of authenticity (click image to learn more). While Bali’s “taxi mafia” issue has exacerbated with the rise of Uber/Grab, this Business Insider article does an excellent job of explaining both sides of the story: why local taxi drivers overcharge tourists, why hotels/guesthouses are forced to use local taxi services by grassroots groups that behave like gangs, and the consequences for sustainable tourism development on the island. 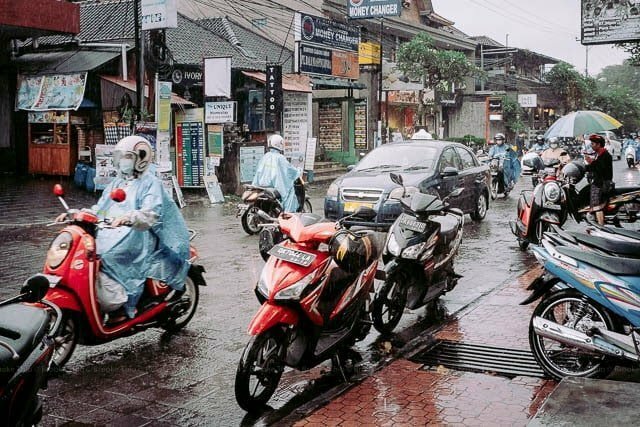 What to make of this: If you want to explore Bali but don’t want to ride a scooter, it’s best to hire a credible, trustworthy driver and guide. You can hire a Bali private driver on Klook for airport transfers and day trips. I’ve personally used this twice and got drivers who were polite and knowledgeable. It’s true. In order to grow enough rice to feed its growing population, the Indonesian government embraced the Green Revolution and in 1971, introduced genetically modified rice to Bali. However, the new high-yield rice disrupted the traditional “subak”, or water management system, which regulates co-operative use of farmland, crop rotation, and irrigation through a sophisticated network of water temples. In addition to this, the GM rice also led to growing outbreaks of pests that required ever-stronger pesticides to control. 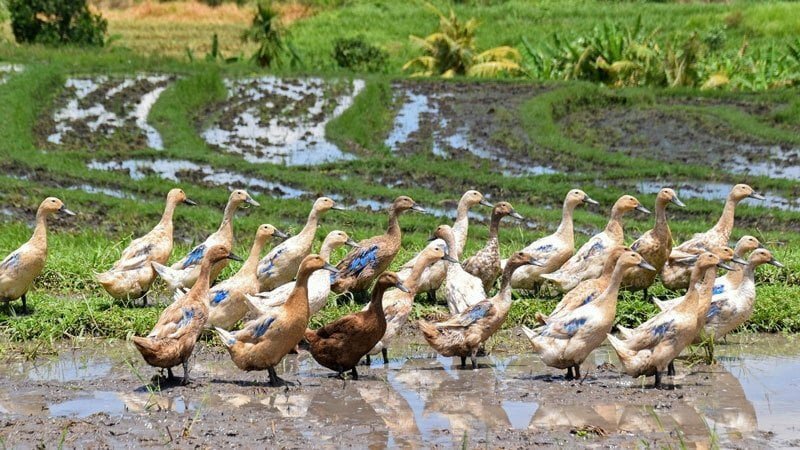 Although Balinese farmers are slowly returning to the time-tested subak system and growing organic produce (complete with resident worker ducks), GM rice is still common in Bali – so not all the rice paddies you come across are as beautiful as they appear. What to make of this: Ask if the rice you’re eating in Bali is organic! Even better, go on a tour of some rice terraces to learn about rice growing in Bali and support the continued existence of these spectacular landscapes. Do it for the ‘Gram. Despite Bali’s development in past decades, there are virtually no high-rise buildings on the island, even in crowded areas like Denpasar, Kuta, and Seminyak. Well, since 1970, local regulations have dictated that the maximum permitted building height throughout Bali is 15 metres. 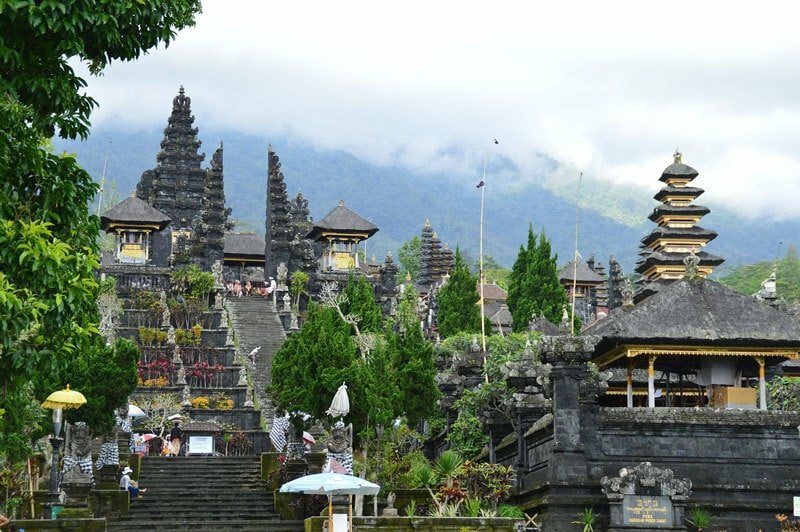 Apparently, this is a show of respect to local culture – buildings cannot be taller than the 11-tiered Meru tower of Pura Besakih, the island’s largest and holiest Hindu temple. Of course, the reference to a coconut tree is purely symbolic – coconut palm trees are a key symbol of the “Tri Hita Karana” philosphy of harmony in Balinese spiritualism. On paper, building regulations also mention that “all landscaping and buildings should incorporate elements of traditional Balinese design”, but that clearly hasn’t been strictly enforced. What to make of this: This is one of the stranger facts about Bali, but blue skies and low-slung buildings are what help Bali retain its island vibe even in the face of modernization. Enjoy it! Talk to enough Balinese people or walk around enough, and you’ll find something quirky: most people have identical names! This is actually due to a traditional naming system that depends on caste and order of birth. You’ll most commonly enounter names like Wayan/Putu/Gede (firstborn), Made (second), Nyoman/Komang (third), and Ketut (fourth) – these are names from the majority Shudra caste. Balinese women in ceremonial dress. Other names include Agung, Dewa, Gusti (Wesia caste), Ngurah (Ksatria caste) and Ida (Brahmin caste). While the names are same for both men and women, men use the prefix “I” while women use “Ni”. A woman’s caste can be upgraded/downgraded by marriage, while a man’s cannot – but in modern Balinese society, the caste system is only used in religious settings; you’ll find business owners and political leaders from every caste. What to make of this: Luckily, many Balinese use their second names or nicknames to distinguish themselves, so you’re less likely to get confused. Did you know that in Bali, life is measured by not one, not two, but three calendars? In addition to the officially adopted Gregorian calendar, Balinese use the Pawukon and Saka calendar, each of which carry significance in different aspects of life. If you have trouble just remembering which day of the week it is, the 210-day Pawukon calendar will have you lost in time. Composed of 10 concurrent weeks of 1-10 days, with days of certain weeks arranged according to different rules, the Pawukon calendar determines key dates for temple and family rites. The Saka calendar, on the other hand, is a lunar calendar with 12 months of 30 days, plus extra days and months added to keep it synchronized with the solar cycle. It’s also the basis for Nyepi, the Balinese new year or “Day of Silence”, as well as Purnama (full moon) and several other ceremonially significant days. What to make of this: Most of us travel to enjoy a change of pace, so why not follow a different calendar? If you get to know some locals during your trip, you might even be lucky enough to enjoy a guided visit of cultural sites or be invited to witness traditional ceremonies. 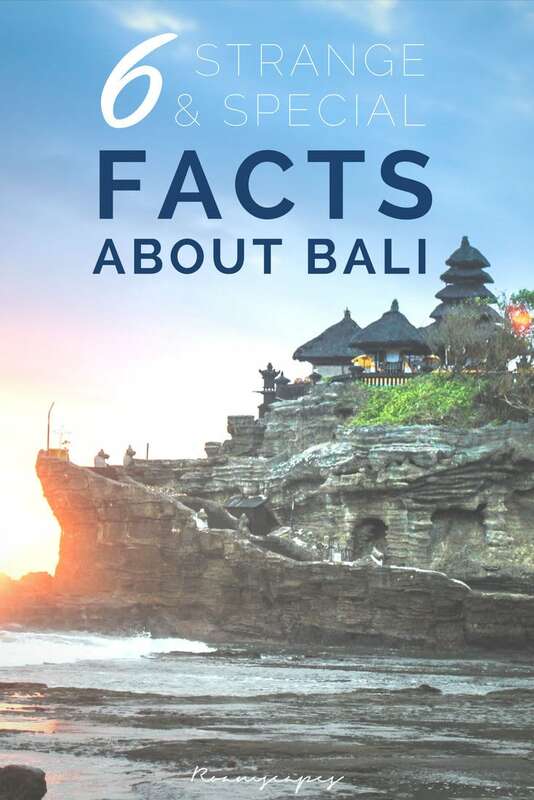 Now that you’re aware of these facts about Bali, don’t you find it far more intriguing? If you’ve visited Bali before, share your cultural tips and recommendations for Bali with us! Really enjoyed reading this – have yet to go to Bali but now I know some great stuff! Bit worrying about the taxi mafia thing though – would be getting a driver thats for sure! Wow these are so interesting! I love how deep you’ve delved into the local life and culture. I’ve been to Bali and I knew none of these facts. Well done Brooke! The taxi cartel sounds horrible. I want to return to Bali next year. Hope the guides you recommend will be around then. Yeah, I guess they should have some governing body just like the water temple system…please do explore northern Bali next time! My guide (Pak Yuda) is from northern Bali and I really enjoyed my time with him. Thank you so much for all this great information. We spent 1 month in Bali and many of these we didn’t know. Love the coconut tree height for building! Thanks Nathalie! I only learned these during my second and third trips to Bali too. I am dying to go to Bali, It has been on my bucket list for so long now! Great post and great photos! I’m in Bali right now, and the taxi/transportation situation here is pretty nuts. Also the same few names really threw me for a loop the first time I was here! Taxi cartels are the worst! They seem to operate everywhere in the world and do everything within their power to simultaneously halt progress while also delivering the absolute worst service for the absolute highest price. I’ll definitely look for a reliable private driver and guide when I’m in Bali! Agreed…change is hard to accept when it threatens your livelihood, but it’s inevitable. Hope you find a good driver and guide! Nice list and oops, I can’t refer to Bali as a paradise too. I mean, it’s so big and different across its districts! Would love to check out Nusa Dua and Canggu and Lovina Beach and so many more places in Bali. The calendars are super new and interesting a fact you shared. I only knew there’s always many different festivals and cultural ceremonies! The public transport side to me has always been really annoying and inconvenient. I’m still hoping things will improve eventually. Unfortunately the taxi issue only seems to be getting worse. Well you’ve hiked Mount Batur! I can’t bring myself to wake up in the dead of night for it heh.